I’m a cadet in Pennsylvania Wing Civil Air Patrol (please no Sandusky jokes about CAP pedophiles) about to turn dark-side Senior and I’ve been around the Civil Air Patrol culture for seven years. As others have pointed out, it is very much in need of a house cleaning. 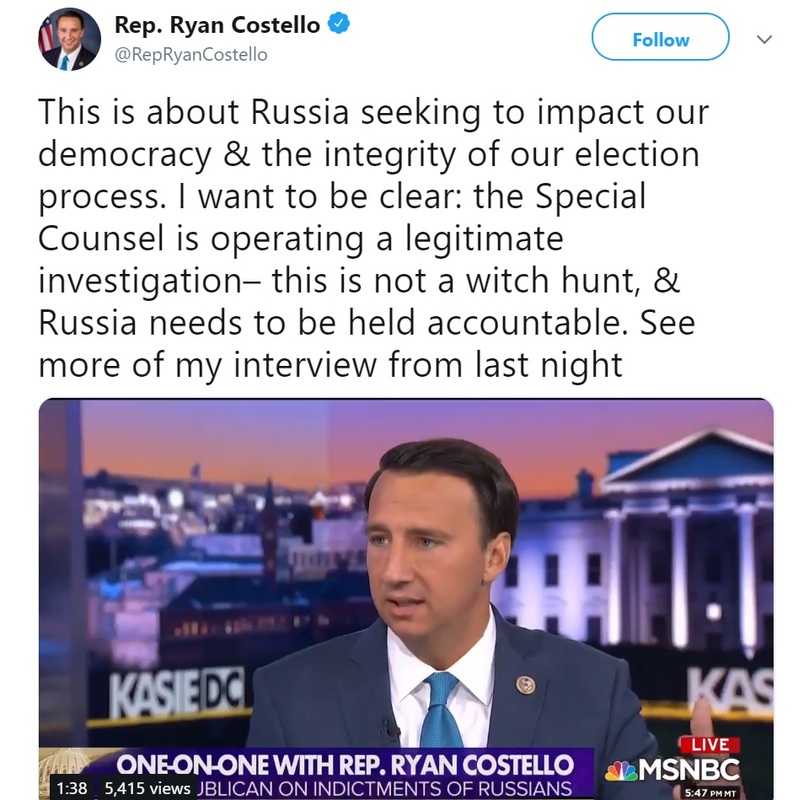 While I am currently pleased with the result in my PA-6 district, a victory for democrat and former Air Force Captain Chrissy Houlahan, I want to show you the tweets from Rep. Ryan Costello (R-PA-6) who served as my representative. You can see him in [the photo above] along with our Pennsylvania Wing Commander. 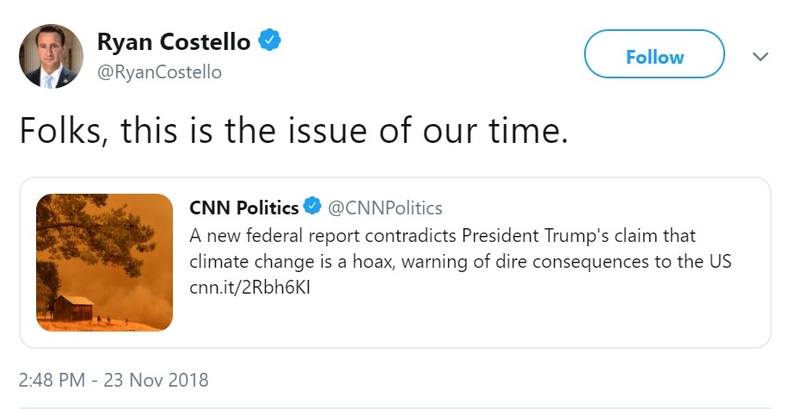 In my family’s opinion Ryan Costello is a man of solid principles, who throughout his terms of service, delivered for all his constituents. He supported the environment, health care, and education initiatives and ranked ninth out of 435 Members of Congress in bipartisanship. In March 2018, he announced that he was dropping his reelection bid and he later suggested the reason was that he had become disgusted (his actual word, not mine) with the Trump administration. Freed of the position, he is now able to show his true back-bone and oppose the lies told by President Donald Trump that are often repeated by a certain type of Civil Air Patrol senior member. To deal with harrassment and filth spewed at GOP members of congress in tough seats every day for 2 years, because of POTUS; to bite your lip more times than you’d care to; to disagree and separate from POTUS on principle and civility in your campaign; to lose because of POTUS and have him piss on you. Angers me to my core. Folks, this is the issue of our time.